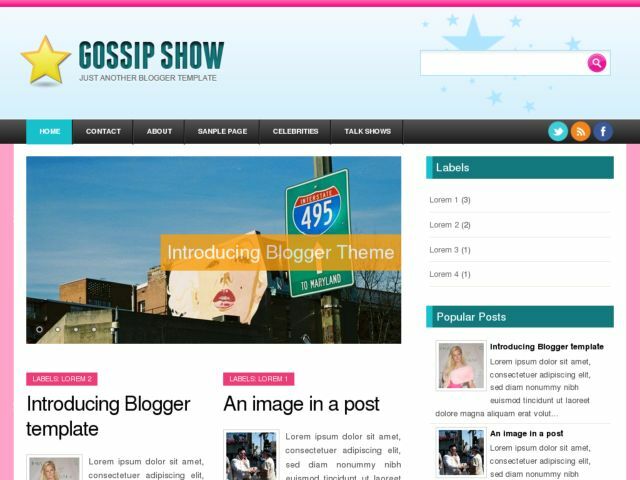 Gossip Show Blogger Template is a free Blogger template ideal for celebrites, fashion and beauty blogs. Features: pink and white for basic color, 3 columns fixed width, right sidebar, footer columns, internal search, automatic excerps with thumbnails, nivo slider incorporated, PSD logo. Supports Blogger menus and threaded comments.